Since the early 1990s Intelligent Solutions, Inc. has been focused on promoting intelligent technologies in the oil and gas industry by developing state of the art solutions and tackling important and challenging problems. This is evident from more than 100 technical articles that we have contributed to the art and science of application of AI&DM in the exploration and production industry. One of ISI's contributions is our robust production optimization technology. This technology is offered in a software product called IMprove. This technology is a comprehensive modeling and optimization process for well stimulation and workover design. It includes three major components. In the first component historical data (production history, any available well logs and stimulation and workover practices) is used in order to build (train and validate) a data driven model using ISI's state of the art implementation of fuzzy pattern recognition and artificial neural networks. 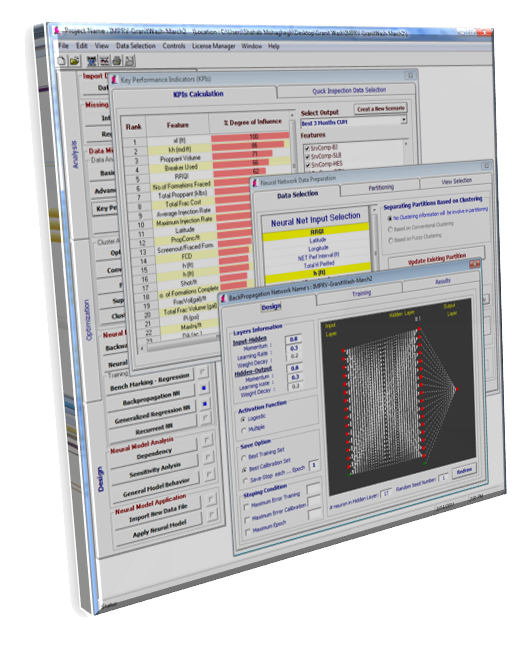 In this component, upon successful building and validation of a predictive model, you can comprehensively analyze the model by performing detail sensitivity analysis and quantify the impact of uncertainties associated with the parameters used in the modeling process on the model output. Model output usually is a post-stimulation production indicator. The second component is dedicated to identification of best candidate wells for any given operations such as stimulation and workover. This is accomplished using a combination of genetic optimization along with a unique fuzzy decision support system. Here you use the predictive model developed and analyzed in the previous component in order to solve the inverse problem for optimization. The third component that is included in the IMprove is a data driven "Best Practices" analysis routine. This unique algorithm that is developed by ISI and has been published in the peer-reviewed journals is being copied by major service companies and their affiliates (unfortunately without properly referencing of the owner and the developer of the original technology) as a service to their clients. 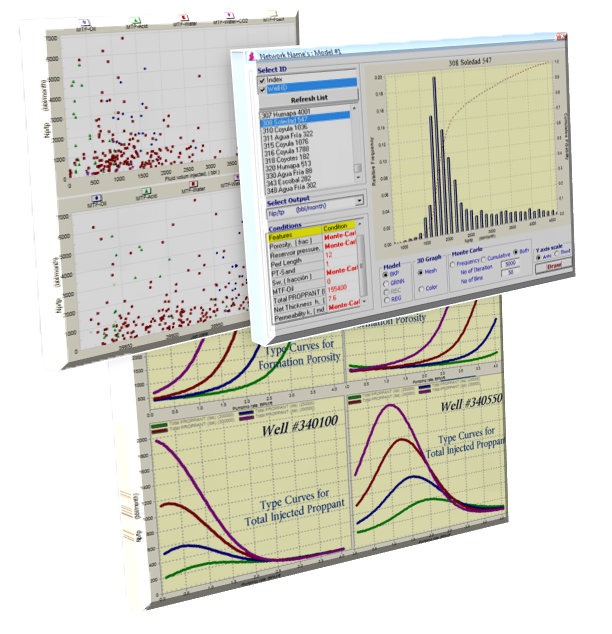 While we welcome the use of this ISI technology by others (and encourage proper referencing of the original developer - as the right thing to do) , it has to be mentioned that key components of the algorithms have been improved and currently being used in our IMprove software product.